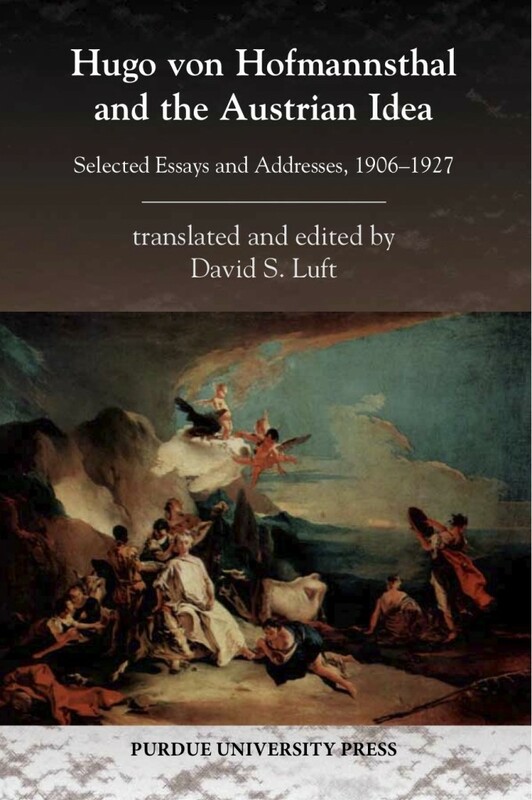 David Luft’s translations of Hugo von Hofmannsthal’s essays & addresses is available now from Purdue University Press. I worked as Dr. Luft’s research assistant on this project, editing translations, providing additional background research, and translating Petrarch; I also compiled the index. This entry was posted in Publications and tagged Austria, David Luft, Hofmannsthal, indexes, intellectual history, Publications, research assistant, translation. Bookmark the permalink.